On 16/10/2013, Albawaba Newspaper in Egypt, published a report which revealed calls and messages Recordings, Between Egyptian Ousted President Mohamed Morsi and Ayman Alzawahiri, the Leader of Al-Qaeda Terrorists Organization. In addition to the above mentioned report, Albawaba Newspaper, has exclusively published on 23/10/2013, recordings between Muslim Brotherhood Organization and Al-Qaeda terrorists Organization which were sponsored by the United States Of America, as the following terrifying details are going to reveal. The recordings reveal that The United States of America is involved in direct contacts, which were held between Muslim Brotherhood Organization and Al-Qaeda Terrorists Organization. 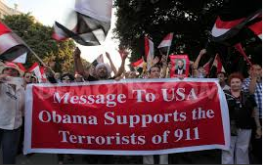 On January 2013, Khairat Al-Shater (the deputy of the Muslim Brotherhood Leader in Egypt), and Issam Al-Hadad, Ousted President’s Counselor for foreign affairs, made direct calls with Al-Qaeda Organization from inside the US Embassy in Cairo. The First Secretary of the US Embassy in Cairo had a direct call with Issam Al-Hadad (ousted president’s counselor for foreign affairs), and informed him that An American delegate from the CIA were in Egypt for a visit, and the CIA delegate wanted to held a meeting with Khairat Al-Shater (the deputy of the Muslim Brotherhood Leader in Egypt). In that meeting held between the CIA delegate and Khairat Al-Shater, the CIA asked both Essam Al-Hadad and Khairat Al-Shater, that they are seeking the Muslim Brotherhood assistance in facilitating the American’s withdrawal from Afghanistan. The CIA delegate asked the Muslim Brotherhood Organization to have a direct contact with Al-Qaeda Leader Ayman Al-Zawahiri in order to make that withdrawal deal, specially that Al-Qaeda Leader is the cousin of Refaa Rifaa Al-Tahtawy, Chief of Staff of the President of the Republic Mohamed Morsi. The Muslin Brotherhood Headquarter’s leadership in Cairo Egypt, agreed to carry out the American’s CIA delegate’s request, in favor of the USA. In return, the Muslim Brotherhood were assured through that deal, that they can do whatever they want in relation to their plans in Egypt, under the United States cover, blessings and sponsorship. 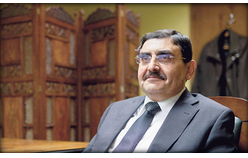 On the 20th of January 2013, Direct calls started between Refaa Rifaa Al-Tahtawy, The ousted President’s Chief of Staff, and the ousted president Mohamed Morsi and Ayman Al-Zawahiri the leader of Al-Qaeda, personally. Furthermore, another call was made, which all parties involved agreed on the necessity of making direct conversations with the Brotherhood Organization from one side, and other conversations with Al-Qaeda organization and Al-Zawahiri, the leader of Al-Qaeda from another side. The agreement was set between all parties, that a delegate from the leadership of Muslim Brotherhood to go to Libya to meet with another delegate from Al-Qaeda Organization, and both delegates were authorized to make agreements and also to make decisions. Mahmoud Ezzat, the first deputy of the Muslim Brotherhood Leader in Egypt, was the leader of the Brotherhood delegate who traveled to Libya and that delegate had a meeting in February 2013, with Al-Qaeda Organization’s delegate. Abu Anas Al-Libi, was one of Al-Qaeda members who attended that meeting in Libya between Brotherhood delegate and Al-Qaeda delegate. 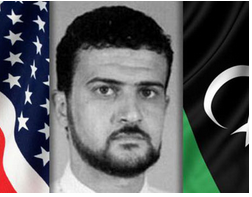 Just for those who don’t know, who that guy is: Abu Anas Al-Libi is America’s ‘Most Wanted’ man, who has been seized by a team of Delta Force commandos after they ambushed his car in Libya, on 6/10/2013 – He is wanted for planning 1998 U.S. Embassy bombing in Nairobi and, Kenya! Just between Two Brackets (The United States knew that Abu Anas Al-Libi was always in Libya, long before the Libyan Gaddafi’s regime was taken down. So strange that America knew the most wanted terrorist’s place all that time, and only decided to capture him now, for trial and justice!!! Any way, getting back to where we were, to the meeting, The Brotherhood confirmed to Al-Qaeda’s delegate that they permit any of Al-Qaeda members to return back to Egypt, whenever they like and they assured them, that no one will ever chase them or arrest them in Egypt. Brotherhood also confirmed to Al-Qaeda’s delegate that the return of any of Al-Qaeda members to Egypt, can be logistically arranged by the Muslim Brotherhood, and Brotherhood are welcoming all Al-Qaeda members who want to return or go to Egypt, including Ayman A-Zawahiri personally, The leader of Al-Qaeda’s organization, if he wants to return to Egypt. Brotherhood told Al-Qaeda’s delegate that they are asking them at this stage, to facilitate the Americans withdrawal from Afghanistan, and that personally, Muslim Brotherhood believe that American withdrawal from Afghanistan, means defeat for the Americans, and a victory to Al-Qaeda, and Al-Qaeda should take advantage of the situation, and facilitate the USA withdrawal from Afghanistan. Muslim Brotherhood made also a deal with Al-Qaeda Organization, that Al-Qaeda members can go to Egypt whenever they like, and pointed to the importance of establishing a coalition between Muslim Brotherhood Organization and Al-Qaeda Organization, and promised them that they can get to Egypt, through the Libyan borders, then to Sinai, in order to support Muslim Brotherhood regime in Egypt and the Brotherhood will also support Al-Qaeda Organization. 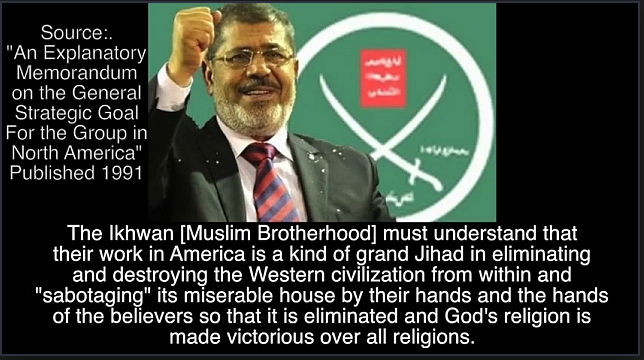 Muslim Brotherhood wanted to use Al-Qaeda, so they will be their striking terrorizing power against Brotherhood’s opponents, with the United States blessings, support and sponsorship! So far, all those calls, meetings and agreements as the recordings show between all parties involved in that deal, were totally blessed by Mohamed Morsi Ousted President, Mulsim Brotherhood’s Headquarter in Cairo Egypt and The United States of America. But I guess as they say, the winds don’t blow all the time, according to what the ship wish for! 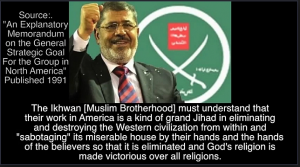 Recordings also reveal that Muslim Brotherhood coordinated with Hamas Organization in Gaza strip, the necessary preparations of all Al-Qaeda’s members who entered Egypt through the Libyan borders, to move them all to Sinai. 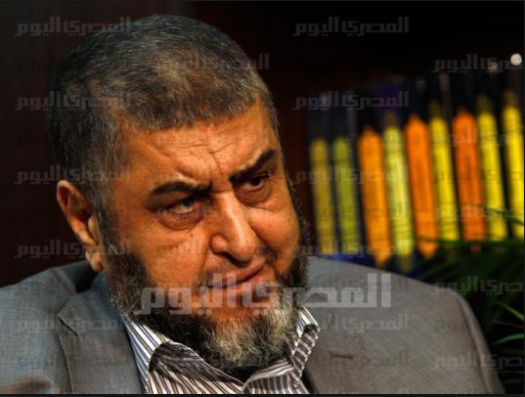 Muslim Brotherhood agreed with the leadership in Gaza Strip, that Hamas Militants to take care of all technical, logistic and administrative missions in relation to that specific file, because Hamas was the best militants to handle such issue, and in order to be out of the reach and the supervision of the Egyptian security and Military forces. 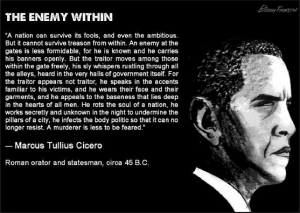 After Al-Qaeda individuals entered Egypt through the Libyan Borders and then were moved to Sinai, the Americans were surprised by the Russians Hacking to all the communications and direct contacts which were going on between all parties involved in that deal. So, the Americans decided to stop all conversations immediately, fearing that if those recordings and conversations will be exposed one day, How they were going to face their own Public opinion in the States, that The United States of America was making deals with Al-Qaeda who killed their beloved in 9/11!!! Unfortunately, those recordings were revealed after thousands of Al-Qaeda Terrorists elements and other Terrorists Organizations were already in the Egyptian Territories. The Americans realized then that they will also be exposed to blackmail! And in order to cover up on that big scandal and dirty deal with Al-Qaeda and Muslim Brotherhood, the Americans decided to capture Abu Anas Al-Libi, Al-Qaeda member who attended that meeting between Muslim Brotherhood’s delegate and Al-Qaeda’s delegate in Libya. Question: The United States knew that Abu Anas Al-Libi was always in Libya, long before the Libyan Gaddafi’s regime was taken down. Why the US did not capture him then? America knew the most wanted terrorist’s place all that time, and only decided to capture him now, for trial and justice!!! 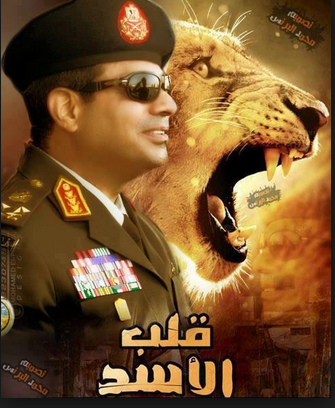 Why now, after the Muslim Brotherhood regime was taken down by the 30th of June’s 2013 Revolution in Egypt? Some sources mentioned, that maybe the capture of Abu Anas Al-Libi happened recently, for the US to open a direct channel with Al-Qaeda Organization, through Abu Anas him self, and without any mediator this time, in order to achieve the same target, which is to facilitate the smooth and peaceful withdrawal of the American Forces till the end of year 2014. In 2012, The Americans also asked Qatar to handle direct conversations with Taliban in Afghanistan, for the same purpose, to facilitate the withdrawal of the American forces, but at the end of year 2012, Qatar informed the USA that the conversations with Taliban are going in vain and are useless, because Taliban are not the decision maker, but the decision maker is Al-Qaeda Organization, when it comes to Afghanistan and Pakistan. Qatar then suggested to the Americans, that Qatar can start a conversation with some of Al-Qaeda’s Symbols, but the Americans strongly refused that suggestion, and warned Qatar to take any steps in that regard, and they ended their first authorization to Qatar to continue communicating with Taliban on their behalf. Iran and Russia were following closely on that issue, and they created Crisis cells to follow that American Withdrawal from Afghanistan. A Sovereign source said that Ousted President Mohamed Morsi acknowledged and recognized all recordings and call conversations when he was confronted by those evidences in front of the investigating authorities, and he said that he is the legitimate president of the country and worked to save the governance and stability, as he saw it in favor of Egypt.”!!!! The report that was published On 16/10/2013 by Albawaba Newspaper in Egypt, which revealed calls and messages Recordings, Between Egyptian Ousted President Mohamed Morsi and Ayman Alzawahiri, the Leader of Al-Qaeda Terrorists Organization, beside the report in that article, both reports are not separated from each other, because they reveal the link between the terrorism that Egypt is fighting right now, and who is exactly responsible for those terrors acts and who sponsored and blessed the terror acts to enter in the Egyptian territory.